What’s included in the 8 week Program? Over 100 exercises included with descriptions and photographs. 7 workouts, 2 stretching programs. Suitable for home or gym. 8 week meal plan with delicious recipes. Gluten free, dairy free and vegetarian options. 5 bikini friendly dessert recipes to crush your sweet cravings the healthy way. 8 brilliant meal prep secrets that will save you hours in the kitchen. 7 day body overhaul beauty countdown. Amelia’s personally designed body blitz countdown to get you ready for your special event or holiday. Keys to success that will maintain your results forever! How long will it take for me to feel and see results? 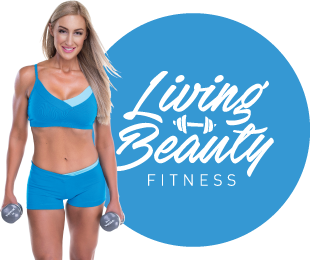 If you follow Amelia’s blogs and Instagram @livingbeautyamelia, we make it very clear that this is not a quick fix, nor a starvation program. It is a long-term lifestyle change. You will begin to see visible results after 5 days and you begin to feel better immediately as you take control of your life and your health. What’s Amelia’s point of difference? Qualifications & Experience: 20 years certified by Fitness Australia. Proven track record of helping hundreds of women transform their body over many years in the fitness industry. Why is this meal plan different, I have failed at diets in the past? 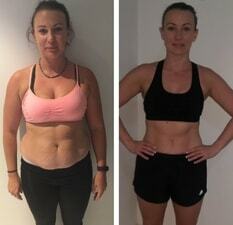 This is not a starvation program, there is no calorie counting and you will learn to fuel your body for energy, wellbeing and long term maintenance of results. Delicious recipes ensure you never feel bored and you will be eating meals with delicious flavours. This is an 8 week eBook program and the knowledge you need to change your body forever. You will feel amazing, have more energy than you have in years, your skin will glow and most clients lose 5kg, but most importantly change their lifestyle for the long term. Over 100 pages of workouts, recipes & weekly diet meal plans!